I stuck pretty close to the sketch and since I’m going to get all sorts of brand new product at our convention in a couple weeks, I dug into my old paper to use some of it up. This paper is from Paper Garden. The big brad in the middle of the flower is Smokey Plum and the little ones are a retired colour called Petal. I chose these purples because the couple who will get this had a purple pretty close to Petal for their wedding. (I wonder if they will realize it’s for them. Hee hee.) The flower is cut with Art Philosophy (Yes, you’ve seen this type of flower from me recently. I love it!) and the leaves from Artiste. 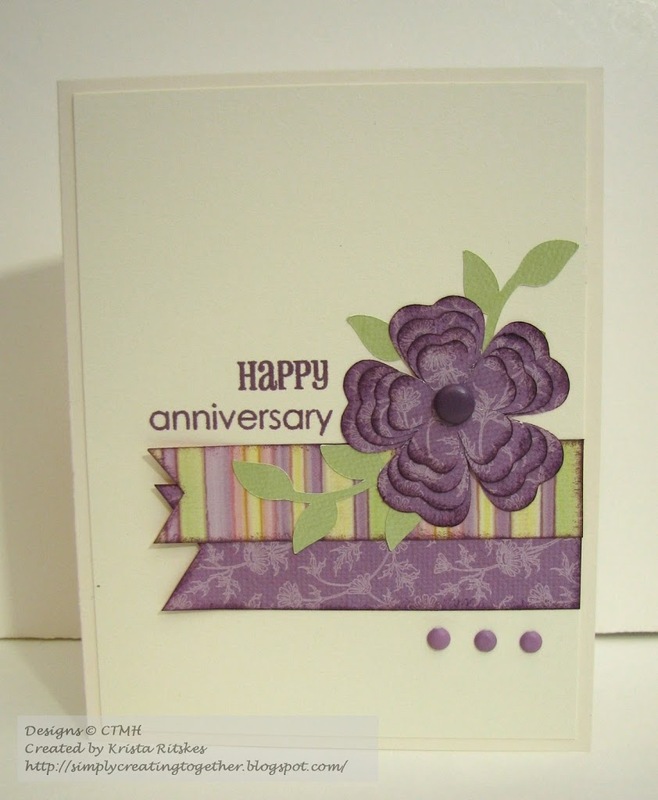 The sentiment is stamped in Smokey Plum, with a retired stamp set, Say It In Style. 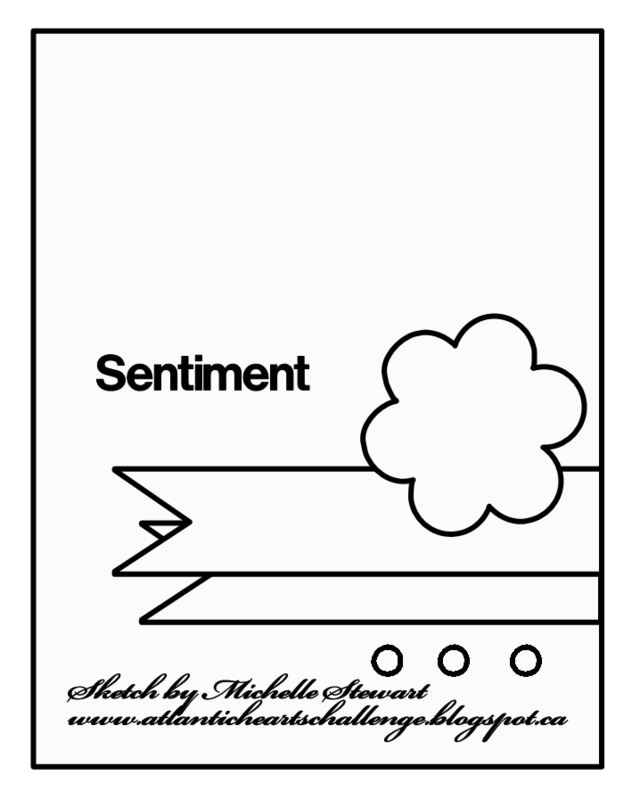 I keep going back to it, just love the fonts and sentiments. The card base and extra piece on the front are Colonial White. I added that extra layer so there won’t be any brads showing through on the inside. Everything is sponged with Smokey Plum. I don’t have a special supply list this week because I’ve used too many retired items! This sketch is so simple to create with! Feel free to replace that flower with pretty much anything. Hop on over to the Atlantic Hearts blog to see the rest of the design team creations and then get crafty! The colors on this card are just so fun and refreshing. It’s a great Anniversary card, the recipients will love it. Well I know this card isn’t for me as my wedding colours were light blue and sky blue. Love this card Krista and methinks I’ll be playing along with the challenge this time around. I love these colours and I love that flower !! Super cute ! !